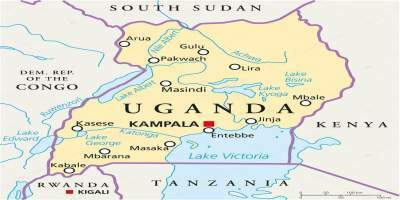 Test APRENDE SOBRE UGANDA ¿QUIÉN ES EL PRESIDENTE DE UGANDA? ¿QUIÉN ES EL PRESIDENTE DE UGANDA? ¿CUÁL DE LOS SIGUIENTES ES UN PARQUE NACIONAL NATURAL DE UGANDA? ¿EN QUÉ AÑO FUE FUNDADO EL PARQUE DE LA REINA ISABEL? ¿CUÁL ES EL PLATO TÍPICO DE UGANDA? ¿CUÁL ES LA MONEDA NACIONAL DE UGANDA?